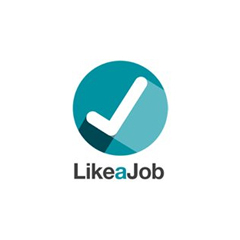 Likeajob connects Employers to Job Seekers – when they like each other. Our custom built algorithm (built like a dating site) matches job seekers to jobs based around their location, skills, qualifications and experience. 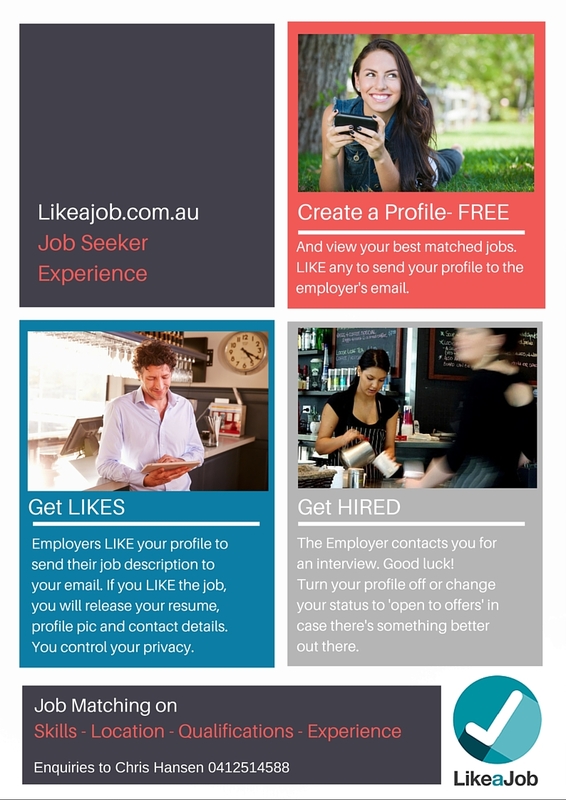 Job seekers create a free profile and view their matches. If they ‘like’ a job, their profile gets sent straight to the employer. 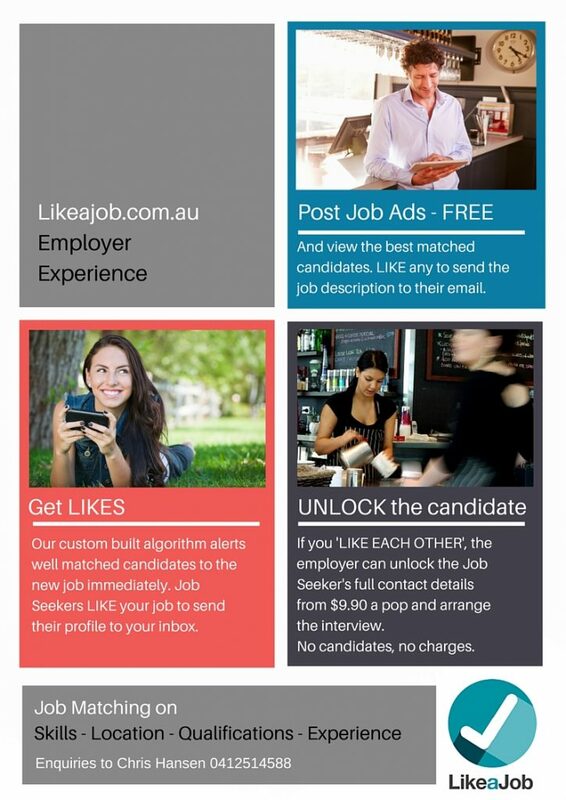 Employers post their jobs for free and view their candidate matches, with the best ones at the top. 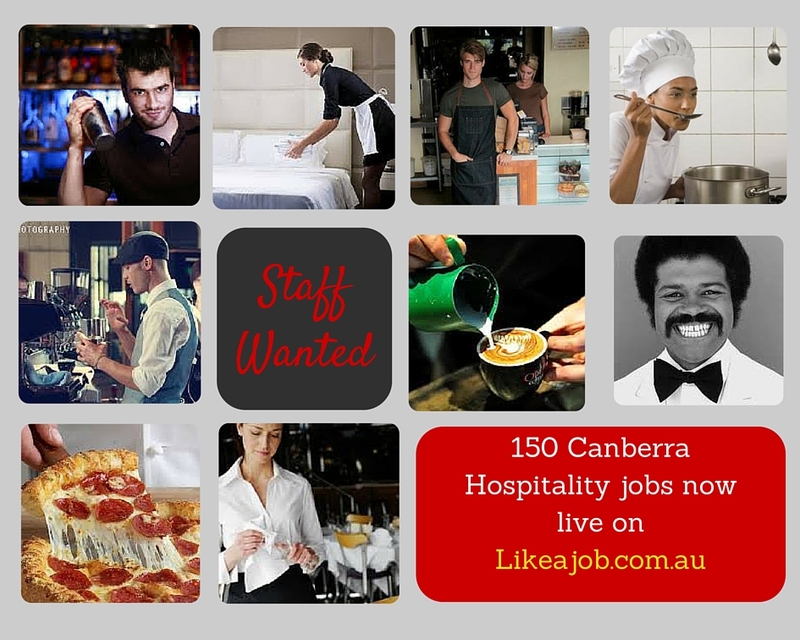 They can ‘like’ a candidate to send them the job description. If the employer and job seeker ‘like each other’, the employer pays a fee to unlock the job seeker’s full contact details.